No final decision has been made regarding the Alibaba IPO date, but Alibaba officials have said they'll at least wait until after the Labor Day holiday (Sept. 1) to hold the massive initial public offering. 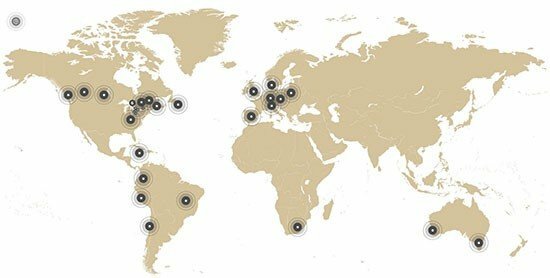 In fact, it could be the largest U.S. IPO in history, surpassing the $19.65 billion Visa Inc. (NYSE: V) raised in its 2008 initial public offering. The growth figures may be huge, but they are justified for several reasons. 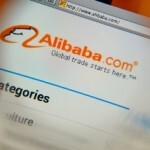 Alibaba stock is expected to hit the market sometime in September, following one of the largest IPOs ever. As excitement grows surrounding the IPO, it won't just be retail investors clamoring for Alibaba stock. 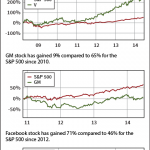 We've pinpointed two ETFs that are prime candidates to add BABA stock to their holdings. The Alibaba IPO is the biggest name on the 2014 IPO market, because it will easily raise the most money of any initial public offering this year. With a price tag over $20 billion, Alibaba will be more than just the "IPO of the year." The Alibaba IPO could be the biggest initial public offering in U.S. history. 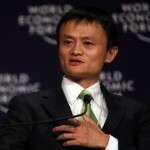 As the Alibaba IPO date grows closer, details continue to emerge concerning what will be one of the largest IPOs ever. And even though we keep learning more about the deal, we still don't have all the Alibaba IPO facts. 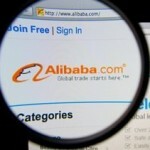 One of the biggest questions we still have concerns the Alibaba IPO date. 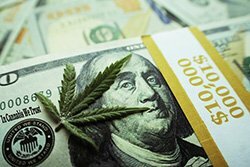 A new report last week shed light on a potential timeframe, but an exact date has not been announced. But that's just one of the questions we still have. The report, citing unnamed sources, says that Alibaba Group Holding Ltd. (NYSE: BABA) would like to wait until after Labor Day on Sept. 1, for the IPO date. Investors were given an update on the Alibaba IPO today (Tuesday) when Yahoo! Inc. (Nasdaq: YHOO) reported second quarter earnings. Yahoo owns a 24% stake in Alibaba Group Holding Ltd. (NYSE: BABA) and will be selling a large percentage of its shares through the IPO. However, Alibaba granted Yahoo permission to sell fewer shares in the IPO later this year, in a move that will help Yahoo maintain more control in the Chinese e-commerce giant. Alibaba stock will hit the New York Stock Exchange later this year - possibly as soon as next month - and investors around the world are wondering how BABA stock will perform when it debuts. Highly anticipated IPOs can be extremely volatile in their first days. Some jump out of the gate, while others fizzle. Further details about the Alibaba IPO date were revealed late yesterday (Thursday) when The Wall Street Journal reported that the e-commerce giant will begin its IPO process as soon as the end of July. 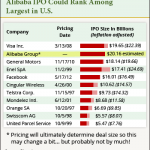 Numerous estimates place the Alibaba IPO near $20 billion, which would make it the largest U.S. IPO ever. At the least, Alibaba is expected to easily beat the $16 billion raised by Facebook Inc. (Nasdaq: FB) in 2012, making it the largest Internet IPO of all time. Alibaba stock could start trading on the New York Stock Exchange as soon as next month, and the Chinese e-commerce IPO is expected to be one of the largest U.S. IPOs ever. 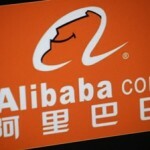 But for those who buy Alibaba Group Holding (NYSE: BABA) stock following its public debut, the size of the initial public offering pales in comparison to the performance of BABA stock. The Alibaba IPO date could be set for sometime early next month, and the hype continues to grow around what may be one of the largest initial public offerings ever. The Alibaba IPO value saw another bullish estimate yesterday (Monday), when Piper Jaffray analyst Gene Munster projected that the Chinese e-commerce giant is worth $221 billion including cash. Before yesterday's update, many analysts had settled on an estimate of $168 billion for Alibaba's valuation. 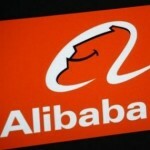 The estimates continue to grow more bullish as the Alibaba IPO date approaches. 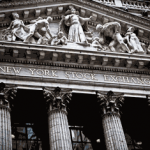 Chinese e-commerce firm Alibaba Group Inc. (NYSE: BABA) made an amendment to its IPO filing last night (Thursday), announcing that it will be listing on the New York Stock Exchange under the ticker "BABA." Rumors circulated last month that Alibaba would choose "BABA" as its ticker, because "ba" means "eight" in Chinese, which is considered a lucky number in Chinese culture. It was announced today that Alibaba stock will trade on the New York Stock Exchange, according to a report today (Thursday) from Bloomberg. The report indicates that the Chinese e-commerce giant could announce the decision in a revised IPO prospectus as early as this afternoon. It has been widely estimated that the Alibaba IPO will be one of the largest IPOs of all-time and possibly even the largest IPO in U.S. history. But the investment research firm Morningstar upped the ante this week when it declared that the Alibaba IPO could raise an incredible $26 billion for the Chinese e-commerce firm. 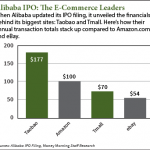 Morningstar also projected that Alibaba's equity value could reach $220 billion.